Former President Jimmy Carter, a Georgian, is in the news for a health milestone: As of Thursday, he has lived longer than any other president in our history — 94 years and 172 days. He surpasses another former president, George H.W. Bush. who died this past November at 94 years and 171 days. Having successfully battled cancer in recent years, Carter remains active and in the public eye. He attended Bush’s funeral, as did President Donald Trump and former Presidents Bill Clinton, George W. Bush and Barack Obama. Carter, who finished his term in the White House in 1981, already held one remarkable national record. He has had the longest life as an ex-president, now more than 38 years. Since the minimum age for the presidency is 35, many Americans born since Carter left office are eligible to be president themselves. No other former president has lived to see such a situation. 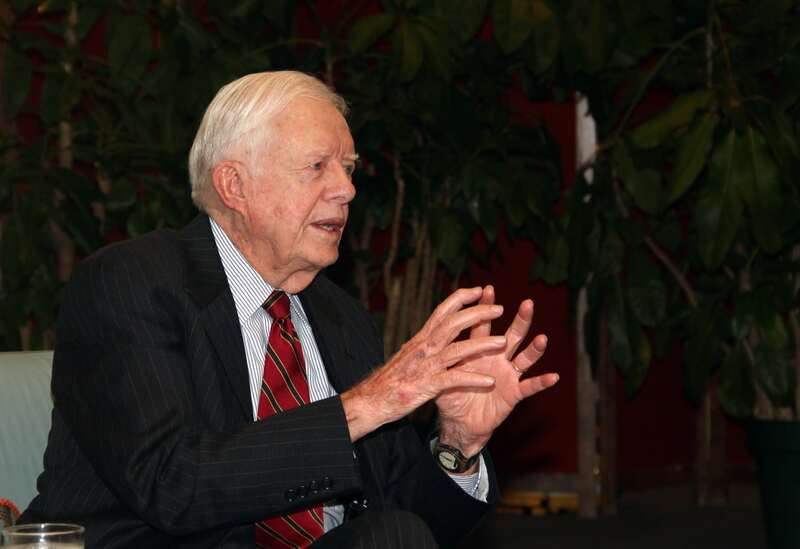 During his post-presidency, Carter has become legendary for his international humanitarian efforts, including public health projects, and he won the Nobel Peace Prize for 2002. But Carter’s place in Georgia history should not be neglected. He served as governor of the Peach State in the early 1970s. And he holds a longevity record here as well. According to publicly available data, Carter has had the longest life of any Georgia governor, and that’s counting royal governors from centuries ago. Presidential longevity has ticked up in recent years. Former President John Adams died July 4, 1826, at age 90 and held the record for the next 175 years. Then, in the 21st century, Ronald Reagan surpassed Adams, eventually dying in 2004 at 93. Then Gerald Ford passed Reagan’s record by a few weeks, dying at 93 in 2006. A few years after that, George H.W. Bush surpassed Ford. Now Carter takes his turn. Carter’s longevity record won’t fall any time soon. All other living members of the “presidential club” are young enough to be his sons.